The Wildlife Department has commenced an investigation into the death of a leopard whose carcass was found in Nuwara Eliya, Piduruthalagala Forest Reserve last Wednesday (15), DWC said. Wildlife Department sources said that the 68kg, 7.8 feet long leopard could possibly be the largest leopard discovered in the country. The carcass is presently at University of Peradeniya for post-mortem. The cause of death has not yet been revealed, DWC also said. Suspicions have been raised that the death has been caused by poisoning and not a trap, DWC source also said. This is the second leopard death reported this month. “Environmentalists Shashikalana Ratwatte told the Daily News that around 10 leopard deaths were reported during 2018. Traps set by the locals are the main reason for the leopard deaths,” he pointed out. “Leopards dwell in the vicinity of human habitats not only in Piduruthalagala but also in many parts of the hill country. When people set traps for other animals such as wild boar and deer, the leopards get caught in these traps. 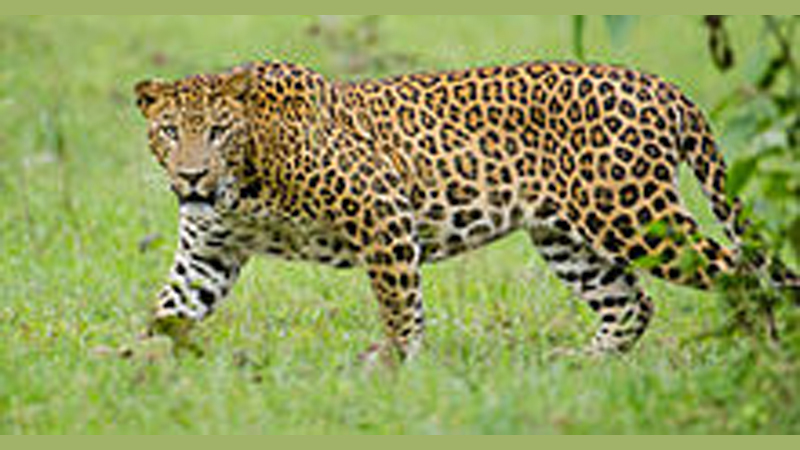 The leopards also cannot find enough food when their food sources are used by humans. So these animals come to villages looking for food as well,” Ratwatte pointed out. He also explained that irregular disposal of garbage is another reason for the leopards to reach human habitats. “Garbage disposal in the hill country is not properly done. So wild animals such as wild boars start to inhabit these areas more, which eventually attracts predators like the leopards,” he pointed out. Ratwatte also said that the Wildlife Department should work together with environmental activists and organizations to come up with a comprehensive plan to conserve these animals.